Cardinal-designate Edwin F. O’Brien will “visit” with Our Lady of Mount Carmel Catholic School students live from Rome on Friday, February 17th at 10:30 a.m. using Skype video conferencing technology. The Cardinal-designate is one of 22 new Cardinals to be elevated by Pope Benedict XVI at a ceremony on Saturday, February 18, at St. Peter’s Basilica in Rome. Students at Our Lady of Mount Carmel and throughout the Archdiocese will be dressed in red to help celebrate the Cardinal-designate’s elevation and the honor it brings to the Archdiocese of Baltimore. In addition to wearing red, students in Catholic schools (and religious education classes) throughout the Archdiocese of Baltimore will learn about cardinals of the Catholic Church and the history of Cardinals and the Archdiocese of Baltimore. Cardinal-designate O’Brien joins Cardinal James Gibbons, Cardinal Lawrence Shehan and Cardinal William Keeler as the only leaders of the Archdiocese of Baltimore to be appointed Cardinals. 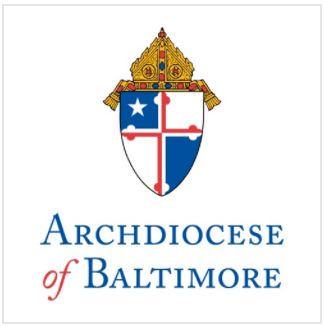 Founded in 1789 the Archdiocese of Baltimore is the oldest Catholic diocese in the United States. Our Lady of Mount Carmel recently announced a partnership with Verizon Wireless to implement out mobile technology in the classroom. Through this partnership, the school received 30 Samsung Galaxy tablets to be used in the science program with by students in grades 4 through 12. CONTACT: Samantha Hall, 410-547-5455, 410-446-9294, samantha.hall@archbalt.org. Please RSVP if you are able to attend the event.